As we are winding down to the final days of our drawing, I thought I would share with you another new stamp set that will be available June 1st! Moroccan Nights! And not only this stamp set is new, but also the fantastic Copper Embossing Powder! The large medallion is quite lovely, with it's intricate pattern, and don't you think the embossing really captures the detail so well? I used Night of Navy and Basic Black for my base paper colors. You might notice a little sliver of a super special copper embossed paper peeking out behind as well, and that is from one of the new Designer Series Paper packs called, Affectionately Yours. 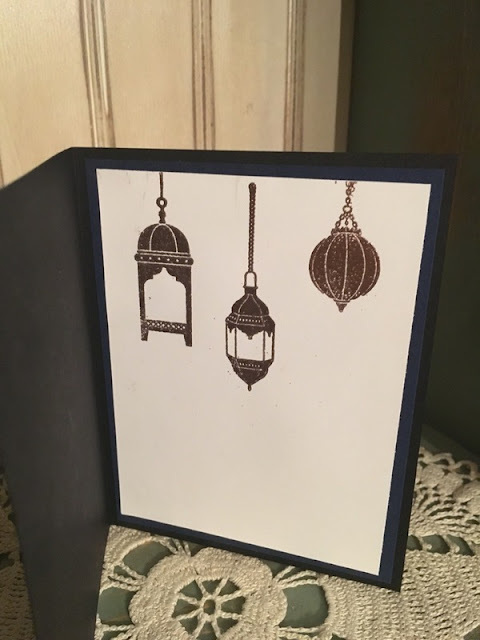 On the inside of the card, I displayed the other stamps available in this collection. Can you think of some fun ideas for this set? 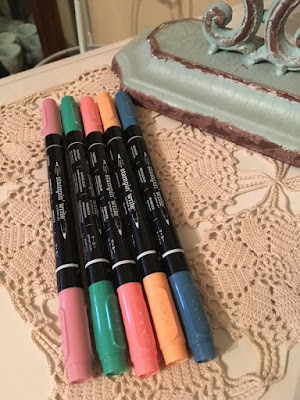 Only a few more days left to enter into my drawing for a free, fun set of the new In-Color Stampin' Write Markers. If you have never used these pens before, they are very special with their dual-tipped ends; a fine line and a brush tip. They also match perfectly with the coordinating paper and ink pads in the same color. 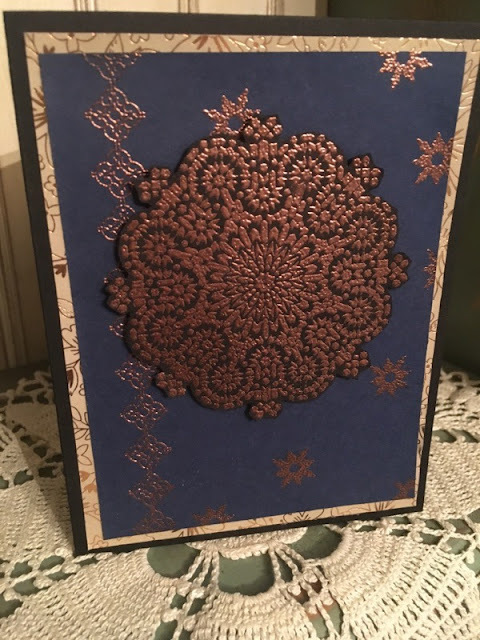 Beautiful medallion, and I love the copper embossing powder! 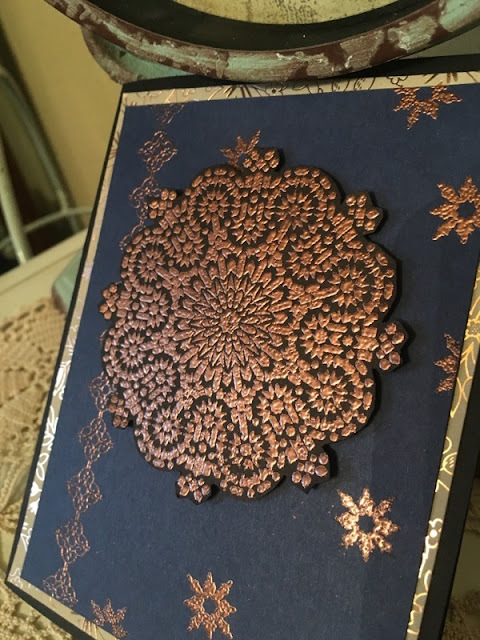 The other designs that you used inside the card remind me of ornaments... maybe a holiday card design in the works?